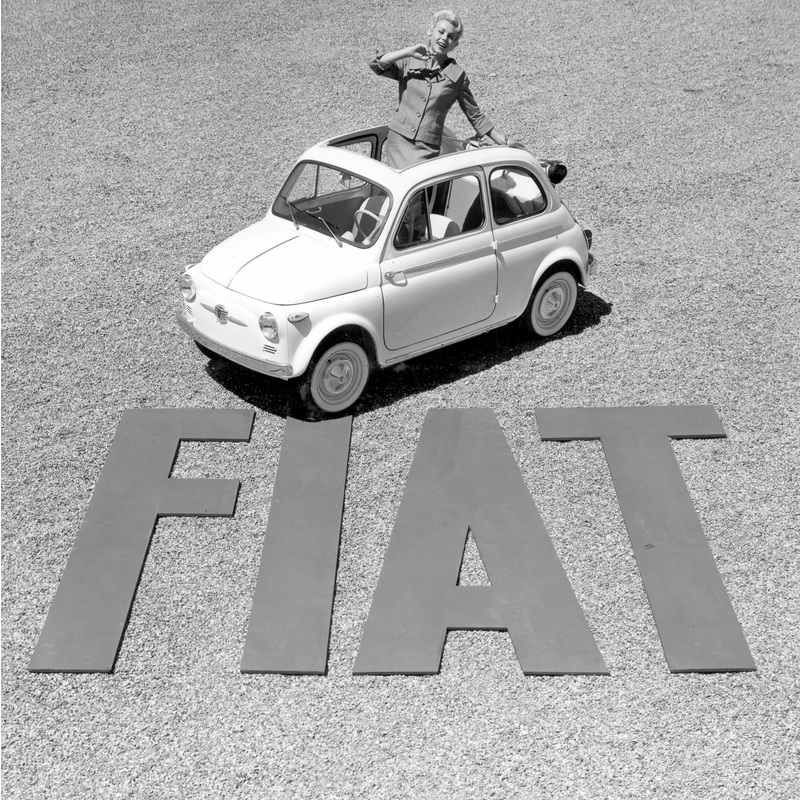 Fiat is easily one of the most charismatic mass market car firms still operating today, and its history stretches a full 117 years, right back to 1899. Such a long and storied history has resulted in some of the finest, most charismatic cars ever sold, many of which have proved their mettle in motor racing. 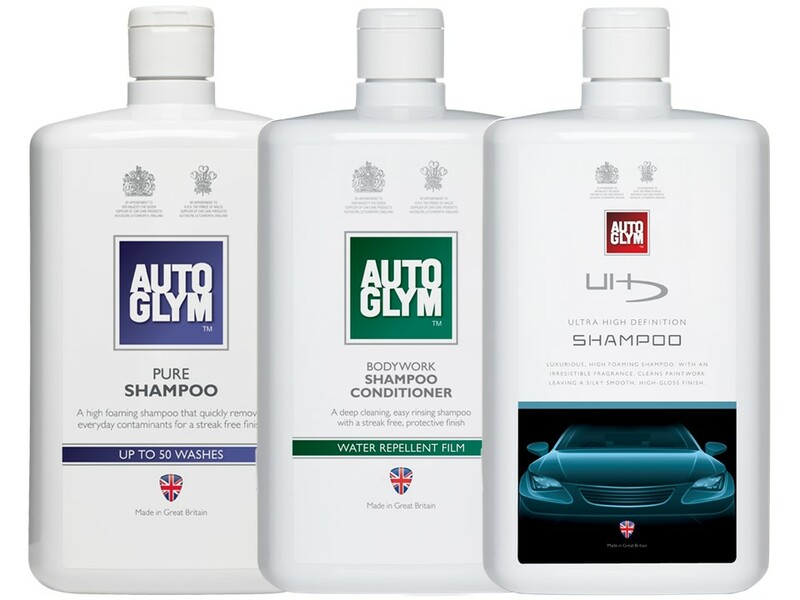 Fiat’s impressive back catalogue of greatest hits has inspired Autoglym to put together the list below, one that includes a wide variety of models from across the marque’s existence. Have we missed out a wonderful Turin gem? Then make sure you let us know in the comments section. Proving once and for all that Fiat really is the undisputed master when it comes to the certifiable hot hatch, the 500 Abarth Esseesse debuted back in 2008 and met with praise from all sectors of the motoring press. Why? Probably something to do with the near 158bhp generated by its manic, high revving 1.4 turbo, combined with a classic Italian hot hatch chassis – a wheel on each corner and very little weight. It’s a car that’s all but guaranteed to go down in the annuls of automotive history as a cult classic. This is what ‘doing the ton’ looked like pre-WW2 – flipping terrifying! Rarely has a name been as appropriate for the car in question, as whichever way you look at it, the Beast Of Turin is, well, a bit of a beast! Officially titled the Fiat S67 Record, The Beast Of Turin lived up to its nickname thanks to its monstrous, chain driven 28.5l engine, a 300bhp power plant that proved capable of propelling the Beast along at a frankly terrifying rate of knots. 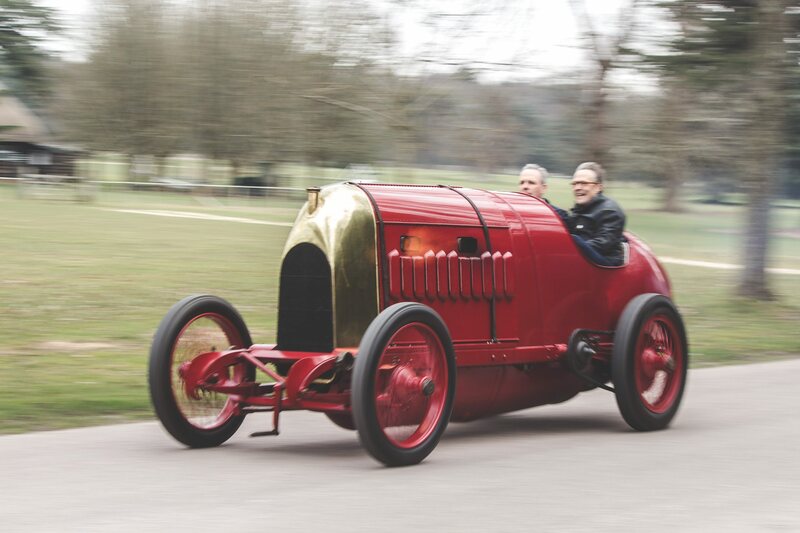 Built with the express intention of snatching the land speed record from a Blitzen-Benz, the The Beast Of Turin was recently restored, given a new lease of life and once again driven in anger, this time at the 2015 Goodwood Festival of Speed. 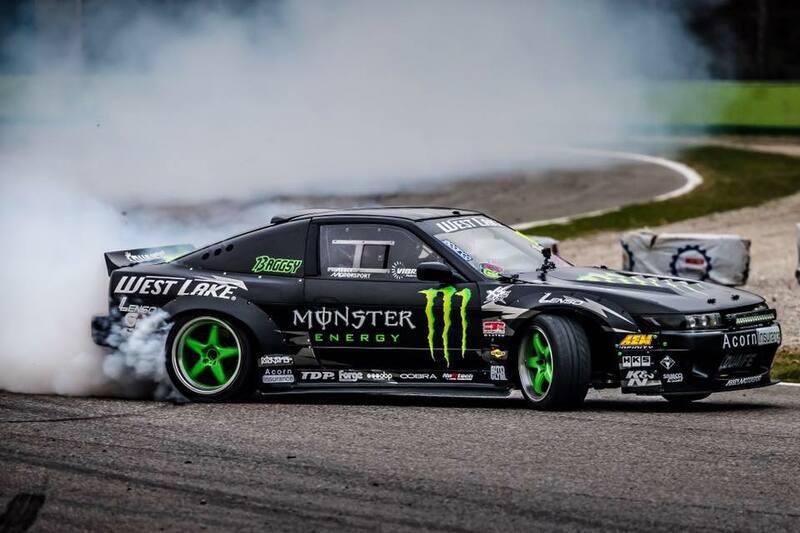 You know you’ve got a cool car when you have to race it with the engine half exposed! If you know one thing about small Italian cars, it’s probably that Abarth made the best ones and that their early efforts in the ’50s and ’60s were nothing short of stunning. 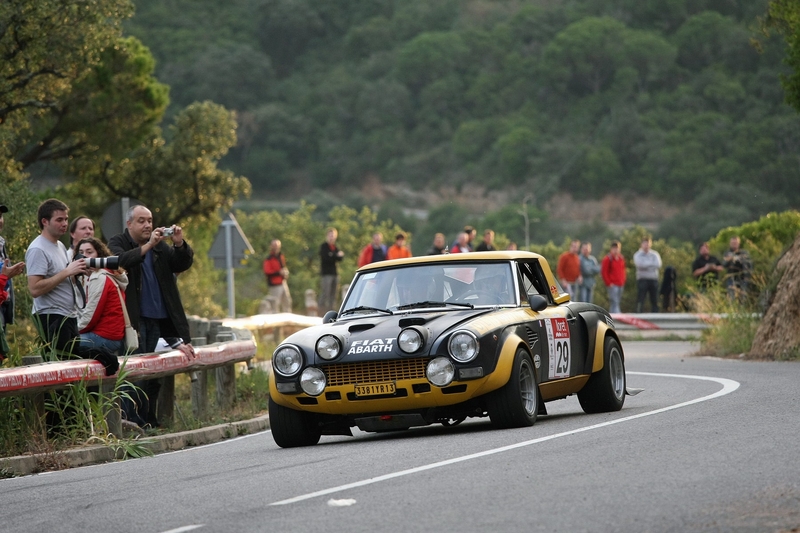 The 850TC was perhaps the ultimate early incarnation of the fast Fiat formula, one designed specifically to race – and win! Despite being powered by a comically small 847cc that mustered just 52bhp, the 850TC was a successful race car, able to rack up a number of European Touring Car Championships and a victory in the 1963 Nurburgring 500km. The coolest bit about the 850TC? The fact that the engine had to be mounted half hanging out of the rear! The political machinations within Fiat-Lancia were at their nastiest and most toxic in the mid ’70s, and they eventually forced Lancia to partially retire the all-conquering Stratos rally car before its time. Lancia’s loss was Fiat’s gain however, and though the conventional looking 131 Abarth was nowhere near as striking as the Stratos (that was the point, Fiat’s marketing men wanted to push a car with at least a vague resemblance to the road going fodder), it did prove to be a potent rally car and more than capable of taking the fight to the Ford Escorts that had proved so competitive for most of the ’70s. In fact the 131 Abarth turned out to be a rather more complete rally car than Ford’s offering, eventually winning the manufacturers’ championship in ‘77,78 and ’80, the latter also allowing Walter Röhrl to claim his first drives’ title. This one’s pretty much the archetypal ‘Marmite car,’ one that folk either consider among the ugliest creations to ever emerge from Italy, or a truly groundbreaking (and under appreciated) style icon. 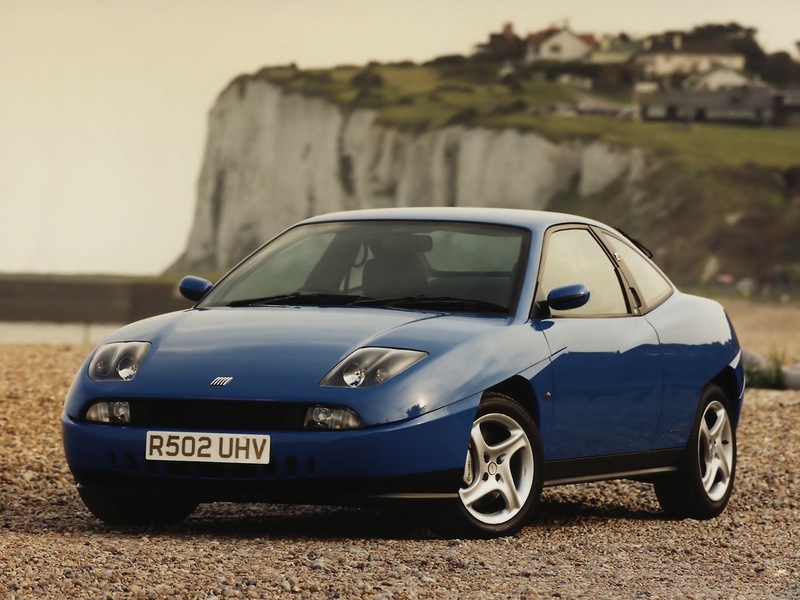 Penned by a pre-BMW Chris Bangle, the Fiat Coupe Turbo most certainly looked very striking, a mass of aggressive lines and creases snaking their way from the nose backwards. Whatever you think of its looks, the Turbo variant of the Coupe was a real weapon in its day, its 20v engine good for an M-car bothering 220bhp, all routed through the front wheels (torque steer was not unknown). 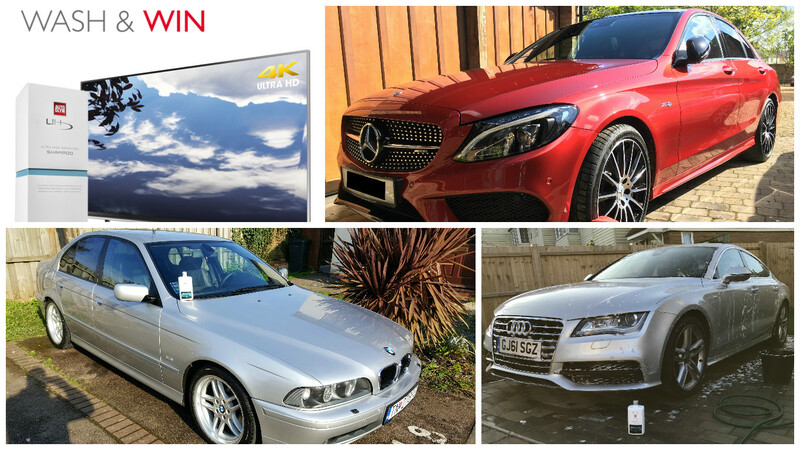 These cars have spent the last 20-odd year kicking around the nether regions of the classifieds yet are now finally being treated as performance icons, so if you fancy one of your own then you’d best act fast! 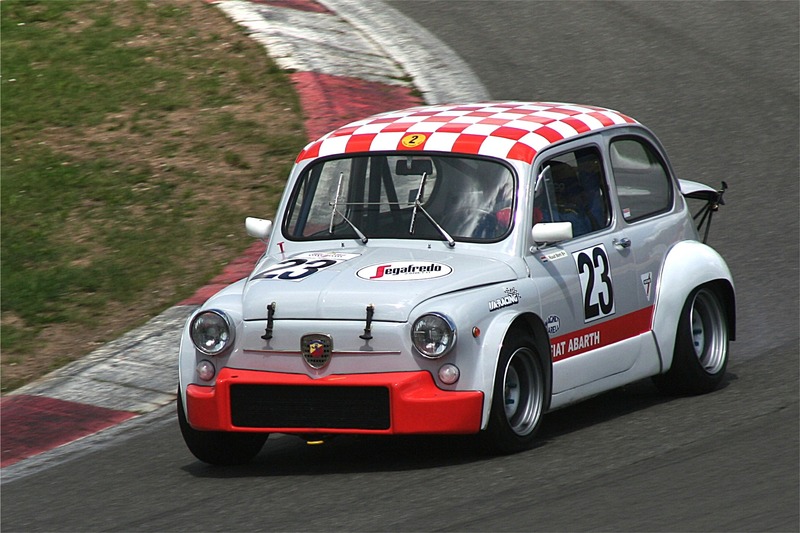 Fiat’s early foray into World Rallying was with the pretty 124, a small sports car that, with the help of the fettling legends at Abarth, was eventually turned into a winner on all surfaces. The results only really started to trickle in when the four-pot was gifted a 16v cylinder head and had its cubic capacity increased to 1832cc, enough to bring power 170bhp, rising to 200bhp when fuel injection was added in 1975. 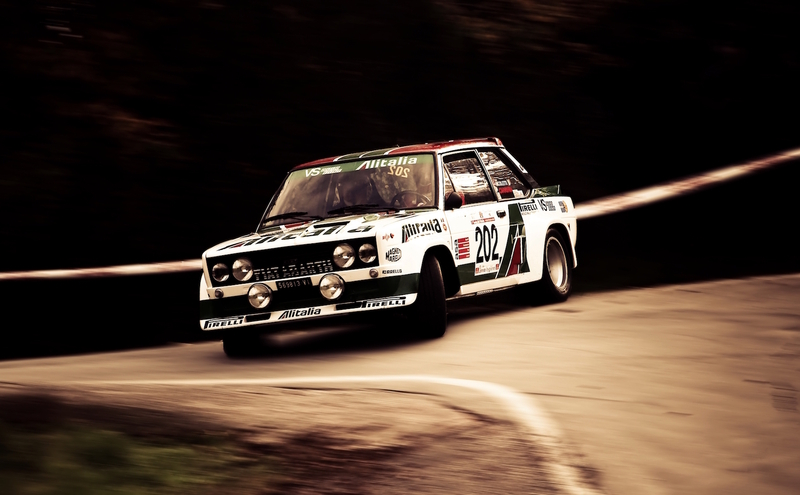 This added shove was combined with a famously good straight-cut five-speed gearbox, and in doing so helped the tiny 124 conquer rallies as diverse as Portugal and Poland, on the way taking the 1974 Italian Rally Championship and a trio of second places in the World Rally Championship for Makes. With the possible exception of the French, no nation on earth builds better hot hatches than the Italians, Fiat having proved itself to be especially adept at it many times over. One of the firm’s more recent hot hatches wasn’t even especially powerful, the Panda 100HP. 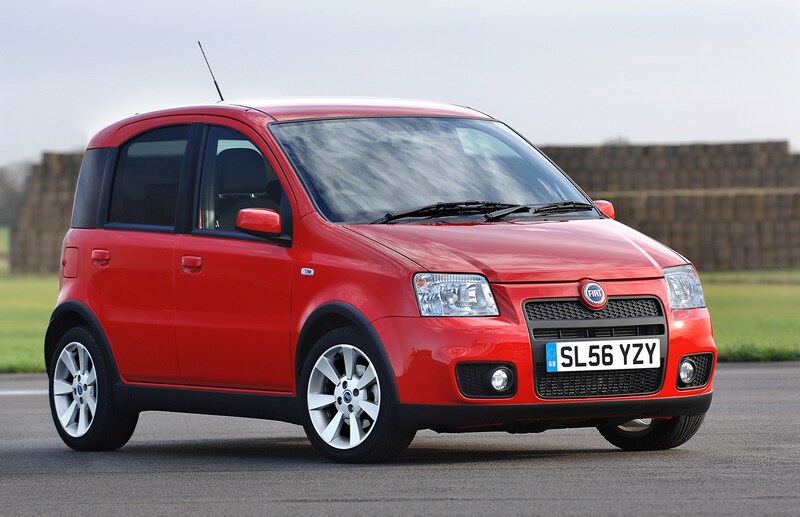 As you might’ve guessed from the name, the range topping Panda could only muster 99bhp from its 1.4 engine, yet it delivered the power in a manner that was nothing short of hilarious. 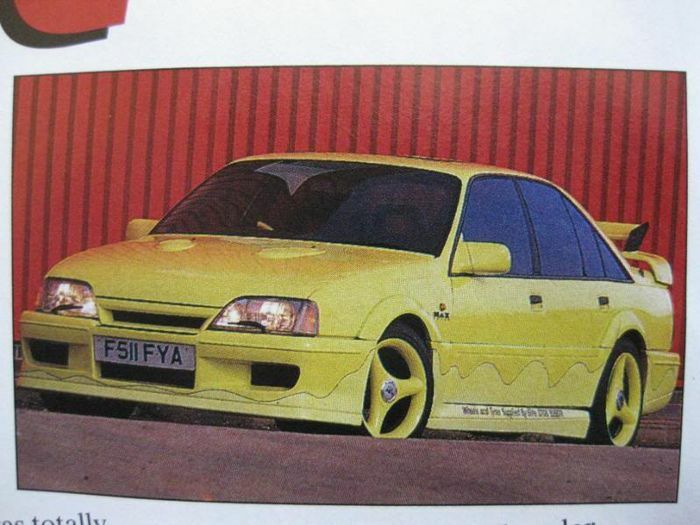 A wheel on each corner resulted in dodgem-like handling, while a suitably chunky bodykit marked it out as something slightly different from the ‘common or garden’ Panda. The best bit? Prices of Panda 100HP are as cheap as they’ll get, so cheap in fact that you can bag one of your own for less than £3000. It wasn’t quick by anyone’s standards, but the original Fiat 500 is undoubtedly the most significant car to have emerged from Fiat’s factory, and one which basically enabled Italians of all ages and wages to experience automobile ownership in a post-war world. It was never a particularly sophisticated or fast car, but it didn’t need to be. Anyway, the Fiat 500 was more than capable of holding its own against contemporary family cars from the same period, think of it a little like Italy’s answer to the VW Beetle or the BMC Mini: a classless classic that financially squeezed Italians could aspire to. The original 500 was a massive success and Fiat ultimately managed to shift a whopping 3,893,294 of them between 1957 and 1975. Proving that the link between Fiat and Ferrari was far more than a mere marketing ploy, the Dino was produced by Fiat in order to help its illustrious stable mate go Formula 2 racing. Ferrari needed to sell 500 of its newly developed V6 engines for it to be eligible for homologation, and seeing as there was simply no way of Ferrari itself being able to shift that many cars within the short space of time required, Fiat stepped up to the mark. 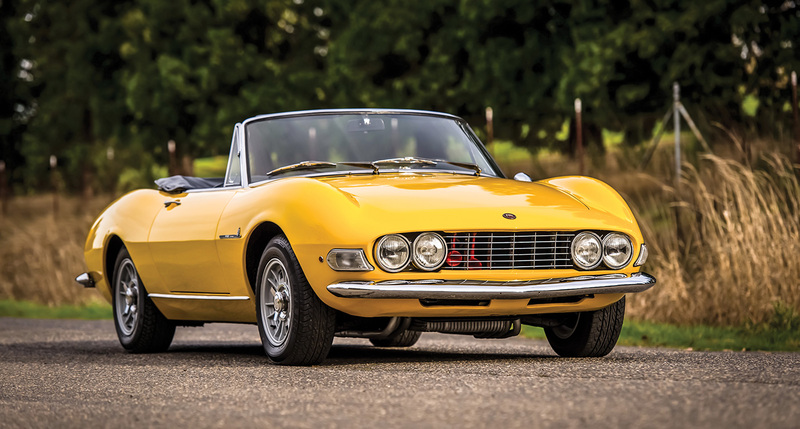 The car that emerged was the Fiat Dino, easily one of the prettiest Fiats of all time thanks to the Spider’s Pininfarina penned bodywork, and one made all the more attractive thanks to its tiny 2.0 V6 powering the rear wheels. Another Italian car of the people that played a key role in getting the country mobile, the 124 was Fiat’s an utterly conventional three-box saloon that went on to become one of the firm’s most successful products. 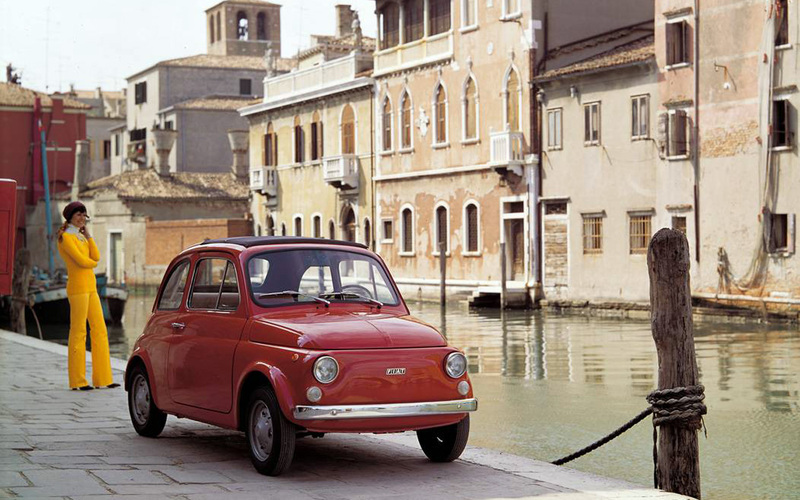 Famous at the time for being launched alongside a lavish TV ad that saw the little Fiat parachuted out of plane, the 124 featured an all-synchromesh gearbox, sophisticated (for the time) coil sprung suspension all round, and amazingly, discs brakes front and rear. 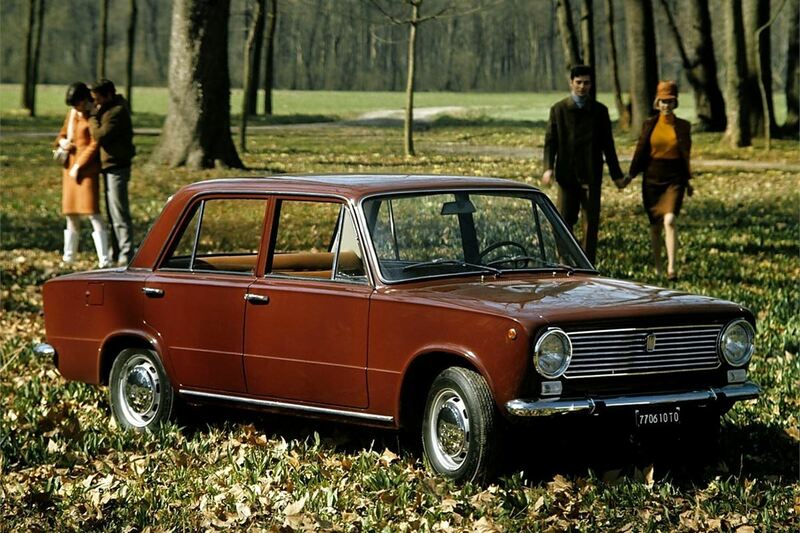 It meant that the 950kg 124 really could handle very well indeed, at least until Lada bought the licensing rights and tooling, re-created it in far heavier steel (and without the posh suspension) and christened it the 1200/1300! Want a Lancia Stratos but can’t stump up the six figure price tag? Well nowadays you’re fresh out of luck, but in the ’70s Fiat could sell you something suitably styled and powered by a mid-mounted engine, the X19. 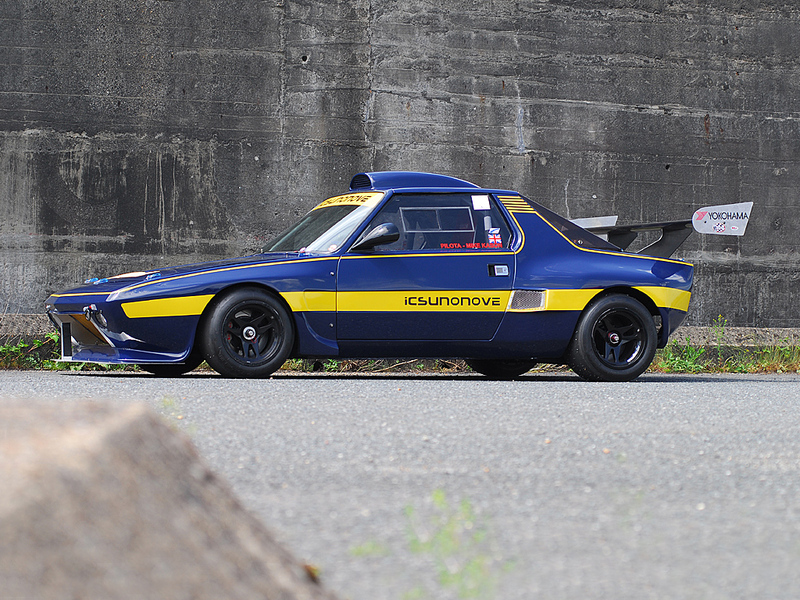 The X19 looked a little like the Stratos for a reason, namely the fact it was designed by Bertone, the same firm responsible for Lancia’s groundbreaking rally weapon. We’ve chosen to include one of the more exotic race variants here, the Icsunonove produced by Dallara. These were powered by a highly modified X19 engine, albeit one fitted with a custom 16v head and wide, wild bodywork. The Dallara Icsunonoves raced within the Group 5 special production class. 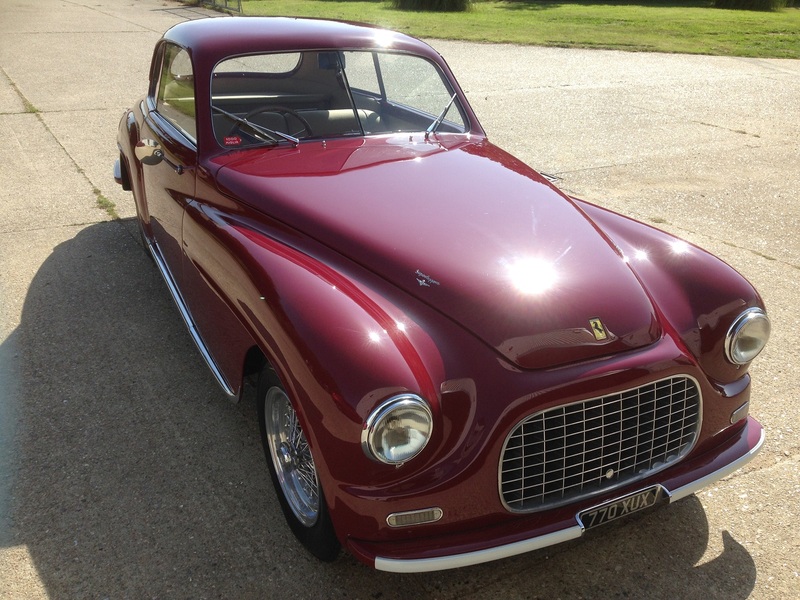 The body style shown above was launched in 1957 as the Nuova (New) 500. 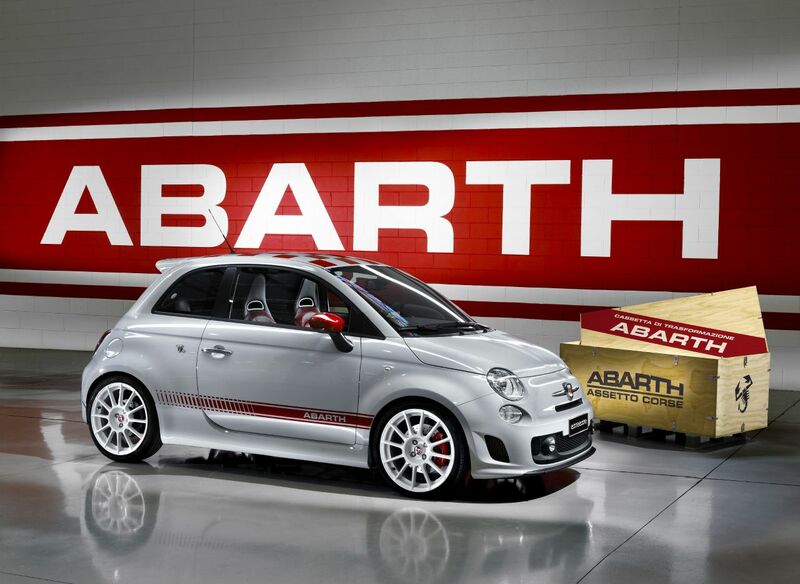 We bow to your superior Fiat 500 knowledge. We are have sent Jarkle on an intensive history course. Thanks for your comment!